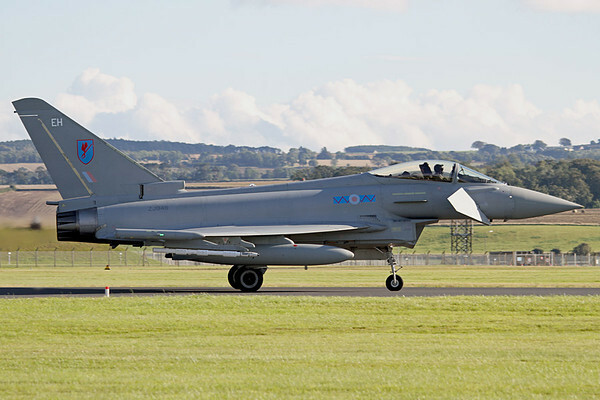 According to Scottish newspaper The Courier, the Royal Air Force (RAF) will be sending its Eurofighter Typhoons to Malaysia to participate in Exercise Bersama Lima, scheduled to be held in and around Peninsular Malaysia and Singapore from 21st October to 2nd November 2011. The aircraft and crew will come from the RAF's 6 Sqn, normally based at RAF Leuchars on Scotland's east coast. Bersama Lima is an air and naval exercise held under the auspices of the Five Power Defence Arrangement (FPDA). 2011's exercise will mark the FPDA's 40th Anniversary of the pact between the armed forces of the United Kingdom, Australia, New Zealand, Malaysia and Singapore. In addition, the Typhoons will showcase its capabilities to Malaysia during the exercise and the subsequent Langkawi International Maritime & Aerospace Exhibition (LIMA), to be held from the 6th to the 10th of December at the Malaysian resort island of Langkawi. According to Jane's Defence Weekly's Malaysia correspondent Dzirhan Mahadzir, two Typhoons will stay on after the exercise and will be on display at LIMA. Malaysia had earlier confirmed that the Typhoon is being considered by the Royal Malaysian Air Force (RMAF) as its next fighter, alongside Sukhoi’s Su-35, Boeing’s F/A-18E Super Hornet and Saab’s JAS-39 Gripen. The winner of the competition will replace the RMAF's fleet of MiG-29 Fulcrums, due to be retired in 2015.